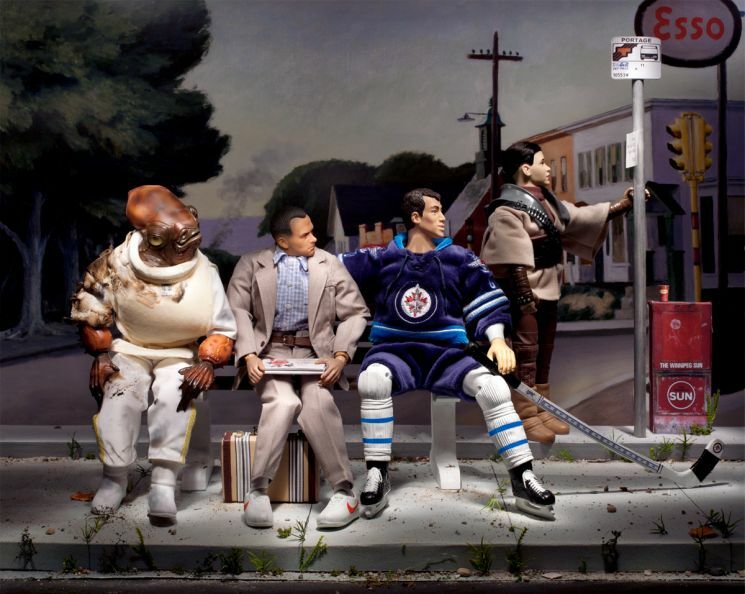 Diana Thorneycroft’s Portrait of Winnipeg (Life Is Like A Box Of Chocolates), Chromogenic Digital Photograph, 2013. The perennially wonderful Diana Thorneycroft has a new exhibition opening today at London, Ontario’s Michael Gibson Gallery. The Winnipeg photographer and iconographer returns with “Canadians and Americans (best friends forever … it’s complicated).” To see the stunning sights of her “Group of Seven Awkward Moments,” visit dianathorneycroft.com.